Will it be BET all over again? Hopefully not, but instead something better. 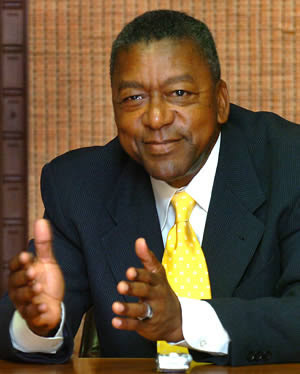 Bob Johnson is seeking to start another nationwide cable channel that targets African-Americans. Right now, his start-up is simply called Urban Television. He's partnering with Ion Media Networks and he's applied to the FCC for approval. In case you've forgotten, the Charlotte Bobcats owner is a formidable businessman. His story is stuff of legend: how he started Black Entertainment Television in 1980 with a small business loan; less than 20 years later sold it to Viacom for $3 billion; and his stake in the deal made him the first African-American billionaire. That was 10 years ago when Johnson sold BET (though he stayed on as chairman for a few years after). I think he's feeling like one of Jay-Z's lines from "Public Service Announcement" (one of my favorite songs from The Black Album): "I'm ten years removed, still the vibe is in my veins." Johnson may be yearning to get back into the television business, but it should be noted that this isn't his first attempt to jump back into the industry that made him filthy rich. He launched Carolinas Sports Entertainment Television a.k.a. C-SET in 2004 as a platform to carry his newly formed Bobcats. Even though the network carried other regional sports games, it failed a year later because the Bobcats were too new--and not good enough as a team--to carry a sports channel on their backs. He also launched a movie production company two years ago. The only movie I'm aware of that's come out of that venture was the very disappointing Who's Your Caddy? Stay tuned to see whether Johnson can give us an option besides BET. If it's done right, we could certainly use it. Especially at a time when the number of sitcoms starring African-Americans is at the lowest it's been in years.